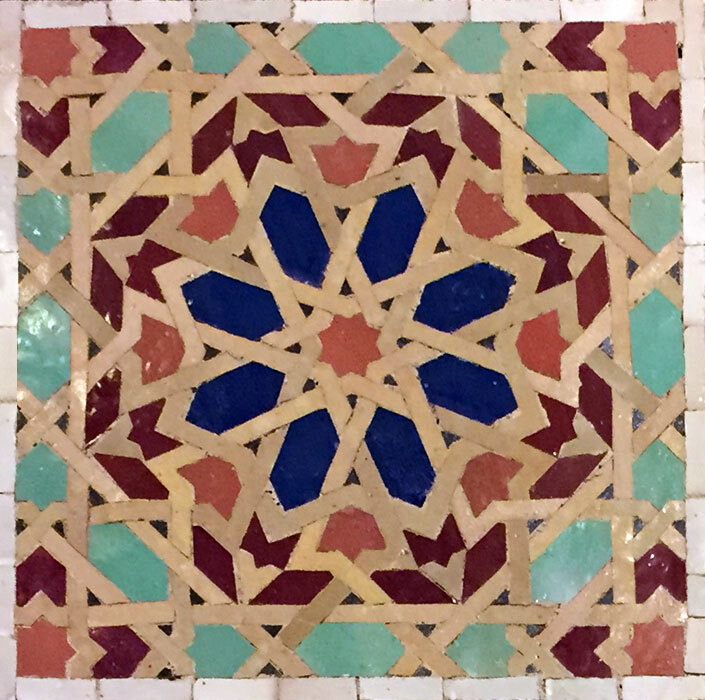 Our intricate mosaic tile is an authentic work of decorative art. Mosaics are small tiles or fragments of tiles that are used to create a specified pattern. This process is referred to as “zelij” in North Africa. Our talented artisans begin this intricate process by hand-cutting the 4″x4″ hand-painted square tiles into the the desired shape. Similar to a puzzle, each piece of mosaic is placed face down to create the ornate mosaic pattern. Due to the variance of chiseled pieces expect beautiful variance in color tones.